If you know me at all (like literally, one bit), you know my heart bursts when I talk about Rome. I’d honestly say if I had a spirit city - it has to be The Eternal City. Rome looks like a living movie set. It’s almost too aged and worn and beautiful to put into words. Although, you know me, I’ve tried! After living in Trastevere for a period of time, I’ve accumulated a deep appreciation for all that Rome can offer a visitor. It will always be my favorite city - and I hope more than anything it will be yours too! Now, let’s get started! Best Time To Visit - I’d recommend visiting Rome anytime between February - May when the temps are manageable and tourists haven’t completely swarmed the city. Plus, hotel rooms should be cheaper (besides Easter). Peak season traditionally runs from June to August. 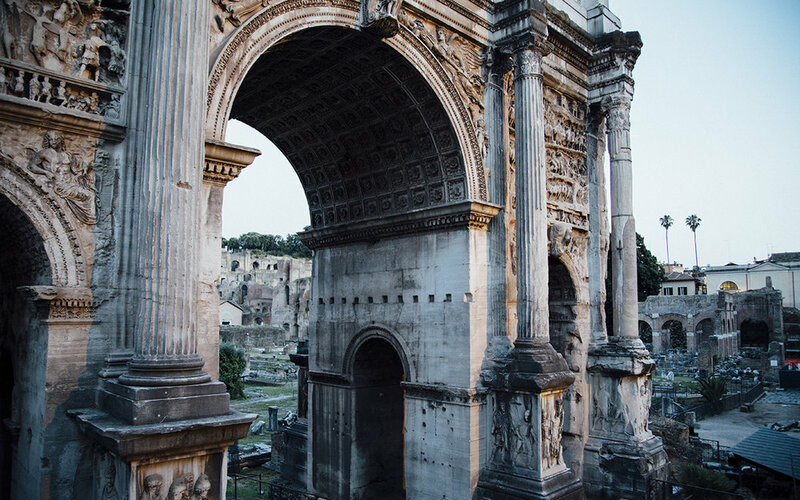 This is when I personally have explored Rome, and I’ll tell you… in the dead of summer Rome is HOT, but I still love it. Currency - Euro. Take my advice and use cash in Rome. Cards aren’t accepted everywhere and are often an annoyance to most Italians. Getting There - Most flights will arrive in Rome’s Fiumicino Airport (Leonardo da Vinci), the main international airport. But in recent years, Ciampino Airport has become a hub for many of the low-cost airlines. All things being said, both are about 30-40 minutes from Rome’s city center. Getting Around - Once you’ve landed in Rome, do yourself a favor and skip the stress of finding a bus or maneuvering through the train system. I’ll be honest, I haven’t ever had a “smooth” entrance into Rome. But here’s what I’ve learned! Ignore the hollering of taxi drivers at the exit and walk straight to the line of people waiting for the white, metered taxis (safe and not over-priced). These drivers will either offer you a flat rate or you should ask for them to turn the meter on. Or book an Uber for a more relaxed entrance into the Eternal City. After getting settled, Rome is an incredibly walkable city. I don’t think I’ve ever had to book a ride to get anywhere within the city proper! The best thing to do in Rome is to just be in Rome! I know it sounds silly, but no sight or monument compares (at least in my book) to languidly walking around the cobblestoned city, watching the sun set on the Tiber, noshing on gelato in a random piazza and haphazardly running into an ancient ruin. Rome’s just charming like that. 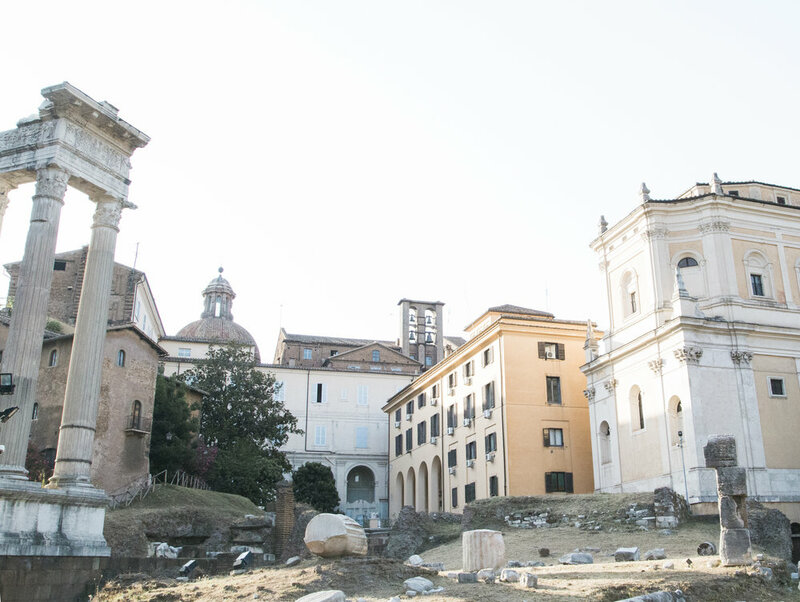 Rome is all about “la bella vita” - so enjoy it for yourself. Take some time “off” from exploring and live the beautiful life. Eat late, stay out, get lost, soak in the beauty. That being said, Rome also happens to be home to some incredible sights. And the best part is that most of them are within walking distance! Here are some highlights. Roman Forum - At sunset preferably, with a bottle of wine! I could have spent all night looking at the weathered and worn ancient buildings. Piazza Navona - A bustling area, but such a beautiful square and fountain. Pantheon - This is one of the most well preserved relics in the Eternal City - just stunning! 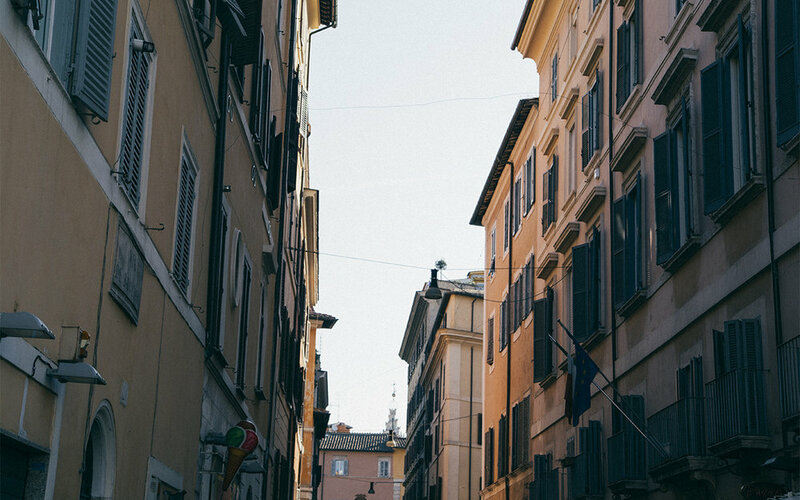 Explore Trastevere - My favorite neighborhood in the city. 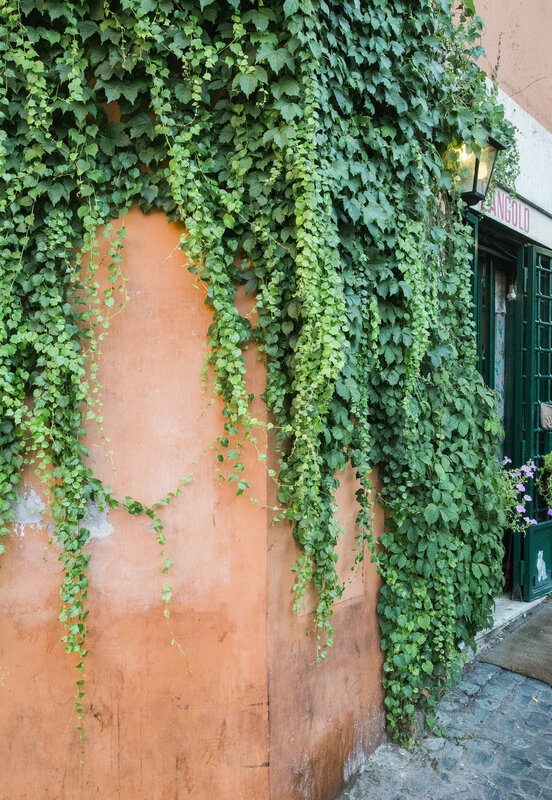 Grab a drink and enjoy getting lost in the ivy covered alleys. Campo de’ Fiori - This bustling market is a true slice of life! Great for finding souvenirs and gifts for friends/family. 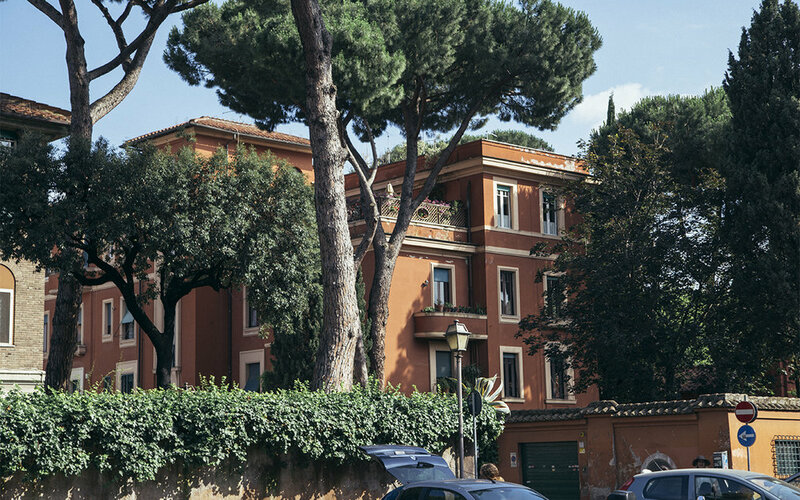 Villa & Galleria Borghese - A slice of heaven in Rome. This park is lush and filled with gems. Grab a gelato and enjoy! And don’t miss the galleries. The sculptures, in particular, were some of my favorites here. Piazza del Popola - Right off of the main shopping street and known as “the people’s square,” this piazza is a great hang out point before dinner or for people watching. Colosseum - You can feel the energy of this place, I swear it! I’d recommend going later in the afternoon/early evening to avoid the major crowds. St. Peter’s Square, St. Peter’s Basilica & Vatican Museum - When in Rome, you must go to the Vatican City. So-much-history! My first time seeing St. Peter’s Square was around midnight and I wept. It’s just so overwhelmingly beautiful. Palatine Hill - I loved hiking up here for a different view of the city! Piazza di Spagna & The Spanish Steps - Similar to the Trevi, this sight can get swarmed with tourists… so come early! I’d highly recommend staying close to Trastevere if you can swing it! It’s one of the most charming neighborhoods of the city, hands down. It’s a bustling area at night for locals, but also warm and inviting (and not overwhelmed with tourists) during the day. Monolocale Con Piscina A Trastevere - $ - If I were staying anywhere in Rome, it would be here. Located in the historic part of Trastevere (my fave neighborhood), this apartment-style room has a kitchenette and is only about ten minutes from Campo de’ Fiori. The RomeHello - $ - This hostel is beloved in Rome by budget travelers! And it’s quite a steal. If you’re a solo traveler, I’d always recommend at least trying a hostel once in your life. And this is a great option! Safe, near the train station and offers private rooms (if that’s more your style)! 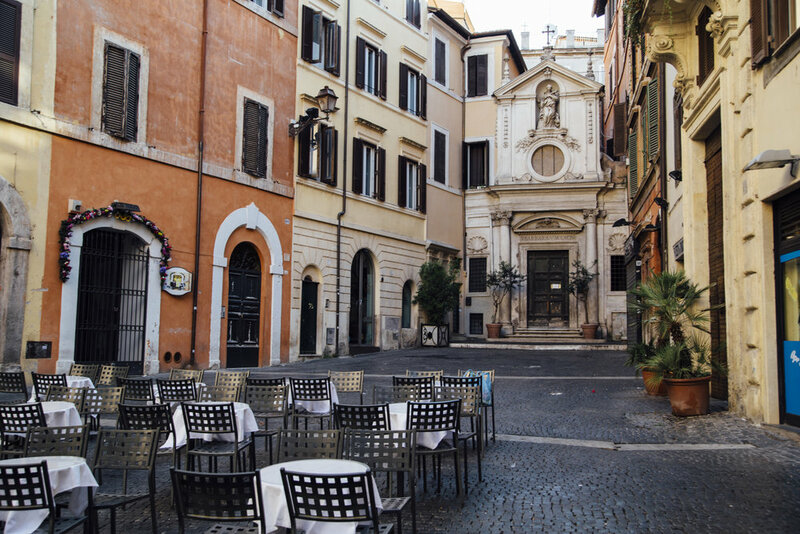 Boutique Hotel Campo de' Fiori - $$ - This is another well-loved hotel option in the heart of the hustle and bustle of Rome’s city center. If you want to be in a central location of the city, I’d go with this option. Portrait Roma - $$$$ - My dear friend Nastasia stayed here and couldn’t speak more highly of it! Vintage portraits of Romans deck the halls, I’m told the customer service is impeccable and it offers a killer view of the Spanish Steps from the balconies. I’d suggest this sort of stay for someone who wants a luxurious, condo-like option in the city. 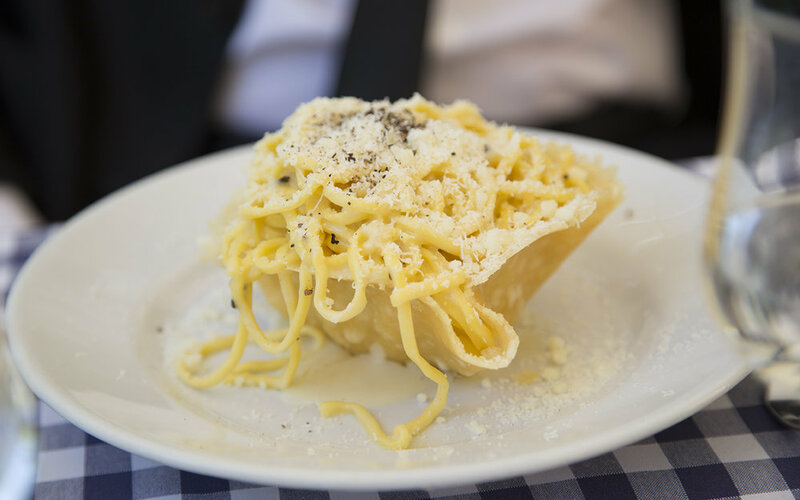 Rome’s culinary scene can be overwhelming - so plan ahead. 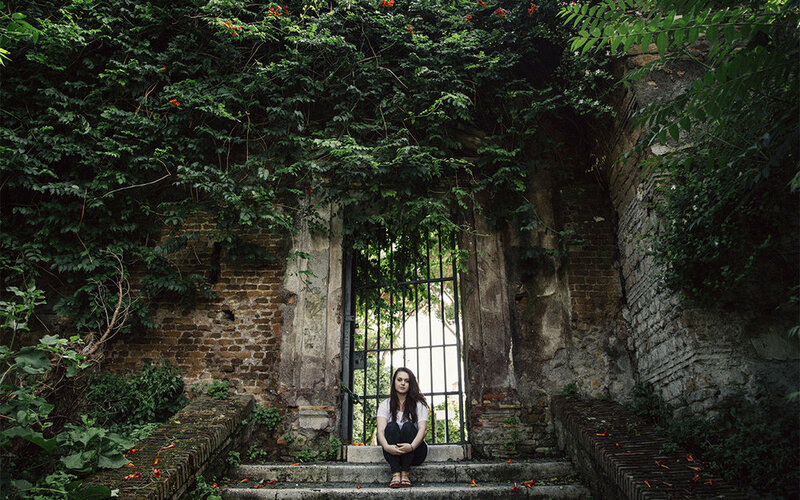 You don’t want to be tired, hungry and end up in an awful tourist trap… unfortunately, there are lots of them scattered around well-visited areas. Plan ahead. You’ll find many reviews on TripAdvisor and Google to be misleading. When in doubt, only go by recommendations from locals! Before I start drooling, I’ll tell you that the restaurants listed below are my STANDBY recommendations. 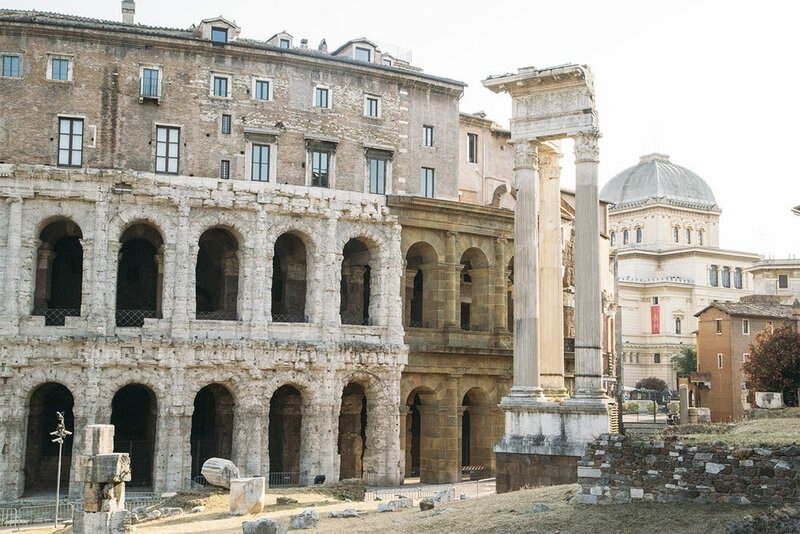 I don’t care what you do in Rome, but you MUST go to at least a few of these gems. Roscioli - Just get anything (you really can’t lose here)! 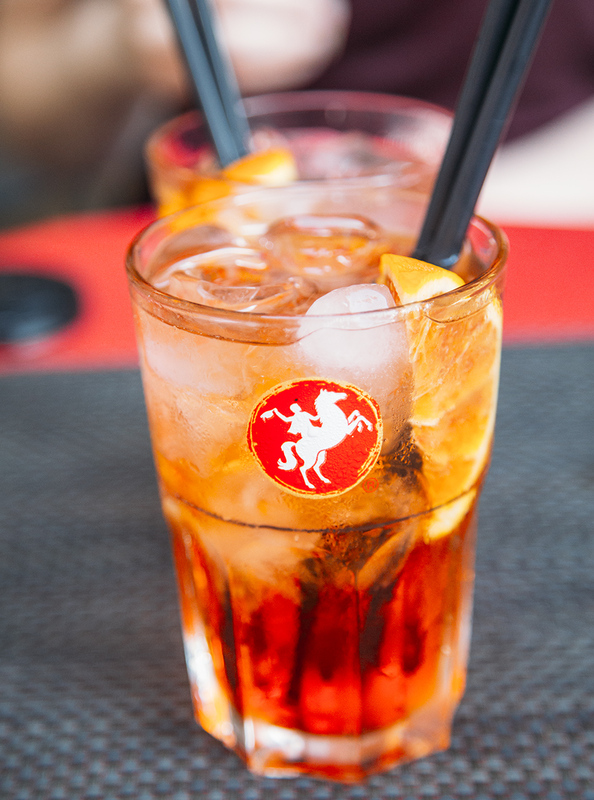 Oh, and be sure to order as many Aperol Spritzes as you can. I’ve been addicted ever since my first visit! Other traditional Roman dishes that are culinary delights? Carbonara, Pizza Bianca, Fried Zucchini, Gricia, Cacio e Pepe, Amatriciana, and Pajata. Again, do your research before you just walk into any restaurant! Check out this blog post by my friends over at Salt & Wind on other fantastic Roman restaurants in the center city. Roman cultural traditions are some of my favorite because they all (basically) center around slow living and the joy of company. 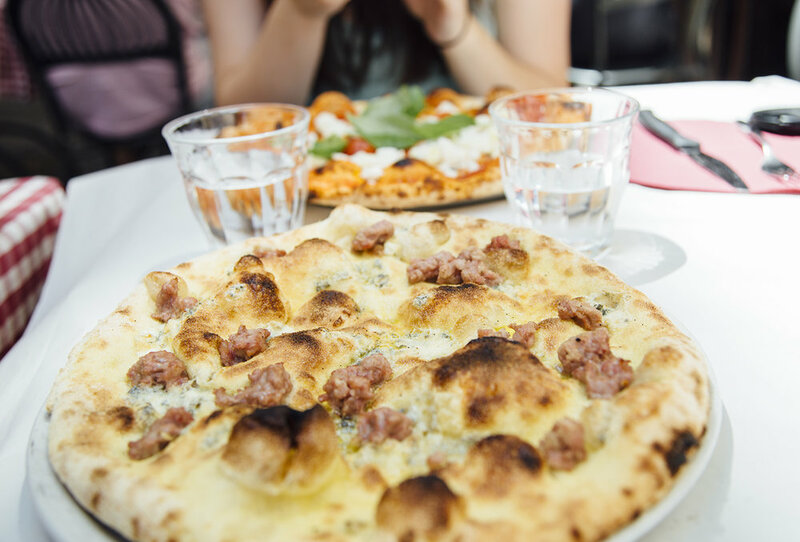 Read about my top recommendations for experiences to have in Rome here - from grabbing a quick espresso with locals to where to go shoe shopping, it’s all there! Watch your bag and never accept bracelets or roses from kind old ladies (trust me). 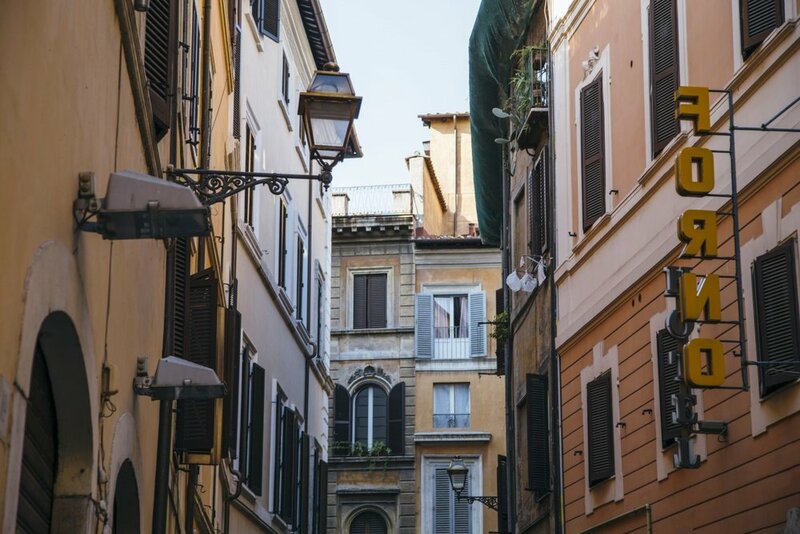 Pickpocketing is a serious thing in most European cities, Rome included! Romans are the chicest people I have ever seen! Not kidding. Women are impeccably well-dressed, as are men. That being said, NOT looking like a tourist requires visitors to dress up ever so slightly and add a nod of nostalgia. Ladies typically wear dresses and heels, gentlemen often wear button downs and dress pants. Needless to say, you won’t see too many Romans wearing sweat pants, ill fitting clothes or ugly sneakers. Here’s a post on how to NOT look like a tourist in Positano I made over at Dame Traveler. Even though it isn’t directly created for Rome, it should steer you in the right direction! Rome is one of the most well connected cities in Italy, thanks to Termini station. But there are also many bus tours available that depart right outside the station too! 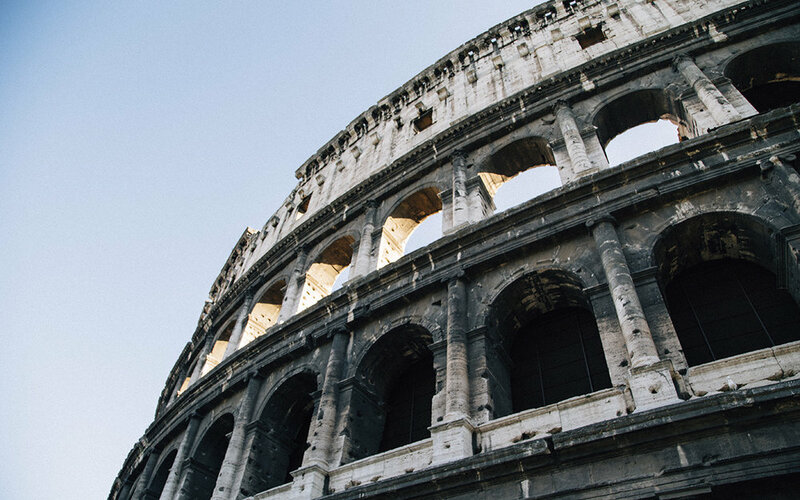 I’ve taken many day trips from the Eternal City, but here are some of my favorites: Pompeii, The Amalfi Coast, Tivoli, Naples, Capri, Assissi, Orvieto and Ostia Antica. If you’re adventuring outside of Rome, Termini Station is the most connected train station in the country. Termini is a melting pot of characters… just ignore everyone who offers you “help” (a firm “no grazie” will do). Walk straight to the red ticket consoles and choose English - plug in your desired destination and off you go! Some basic Italian always pleases waiters. As a general rule I always like to do my best ordering in Italian, while pointing. Most waiters know some basic English and we carry on from there. Yes, wine is cheaper than water! But that being said, bring a water bottle! There are fresh, drinking fountains scattered throughout the city. They’re not only ancient and charming… but also cold and refreshing (and 100% clean). I hope you have THE ABSOLUTE BEST time in my favorite city. I’d love to see what you get up to over on Instagram! So feel free to tag me while you’re exploring beautiful Rome. Arrivederci!